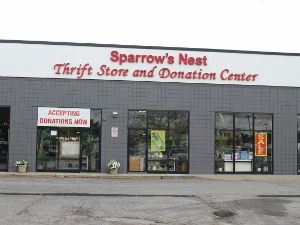 Visit Our Sparrow’s Nest Thrift Store and Donation Centers! Click below to visit our online store ! 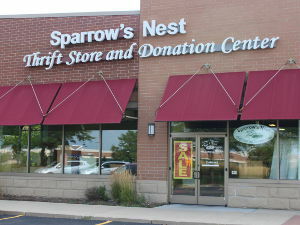 The Sparrow’s Nest Thrift Store and Donation Center’s purpose is to support the mission of Home of the Sparrow. 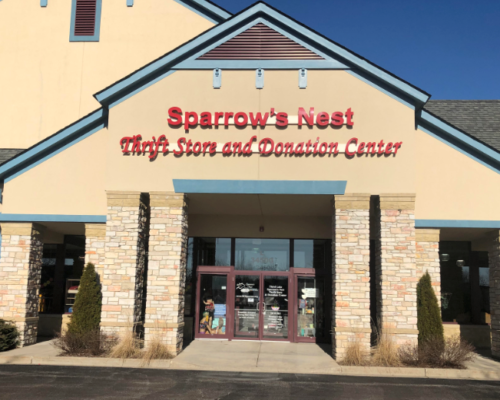 100% of the net proceeds from the seven stores are used for the women and children in Home of the Sparrow’s transitional housing program. 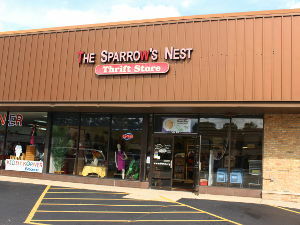 The Nest Stores are also a zero cost provider of clothing, furniture and housewares to Home of the Sparrow clients and clients of other agencies in Northern Illinois. 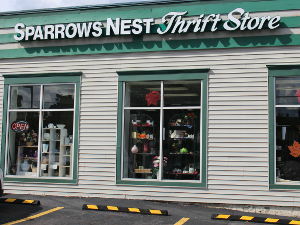 With an exception to mattresses and box springs, everything sold in the Nest stores is donated. Donations are accepted at all stores. Please see our FAQ page for a list of donation items we cannot accept. Recycle your gently used furniture items back into the community. Free Furniture pick-ups: Monday through Saturday 7:30am-4:30pm. 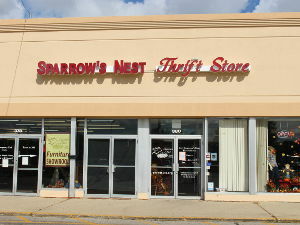 The Sparrow’s Nest Thrift Stores issue blank receipts at the time of the donation. Donors are responsible for maintaining all tax records as well as assigning values to donated items. To help in the determination of a value of a donation for tax purposes, please access the lists below that give approximate low and high value ranges. These ranges are strictly a general guide to help assess a value on what you have donated. Exceptions – There are exceptions to these values. Brand new items in original packaging could possibly be worth more than the values provided. Please use your own judgement. Antique items may have a higher value. There are resources available on the internet that may help provide values on Antique items.